all their Racing & Stock birds for PMV they will not be allowed to compete in any Racing or Tossing conducted by the C.C.R.P.A. The name of the Association shall be the Central Coast Racing Pigeon Association Incorporated. Racing Pigeon Association means any Club or Society formed or established for the promotion of the sport of homing pigeon racing. Association means any Homing Society of Club affiliated with the Association in a manner hereinafter provided for. Delegate’s means members appointed by the respective Clubs affiliated with the Association. (A) The objects of the Association are the provision of a central organisation for Homing Societies established on the Central Coast. (B) The promotion and regulation of the sport of racing homing pigeons. (C) The protection and advancement of the interests of its members in all matters connected with the said sport. (D) The establishment of a system of better liberation, and reliable liberators to attend to the pigeons in transit and at different selected race points. 5. (A) Only Clubs within the Gosford and Wyong Shire and within the boundaries of the Newcastle Hunter club areas voted on by the association members in 2008 shall be eligible to compete in any races flown under the rules of the Association. 6. (A) All Clubs affiliated with the Association shall pay a fee of $10.00 per annum, payable at annual meeting or on admission. 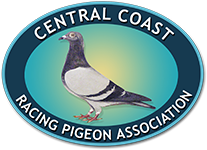 (B) Clubs eligible to vote at annual general meeting must be flying or competing Clubs of the previous season with the Central Coast Racing Pigeon Association. (C) That there be no smoking in the Association Club Room. 7. (A) The Association shall be governed by a council consisting of two (2) delegates, only one of whom shall vote on any one matter, from each of the Shire Clubs affiliated and by whom shall be elected the Officers of the Association, viz., President, Vice President, Honorary Secretary, Assistant Secretary, Ring and Race Secretaries, Treasurer and one Auditor. (B) The Chairman and or President shall not be a delegate but may be a member of an affiliated Club. It shall not be necessary for Vice Presidents, Secretaries, Treasurers or Auditors to be members of an affiliated Club. The Chairman or President shall only have a casting vote only in the event of a deadlock. (C) The Chairman shall announce all votes and decisions and shall have the power to call to order any members whom he considers is obstructing the business of the Federation and should such member persist in doing so, after being called to order, his case shall be referred to the governing body who shall have the power to caution or expel such member of the Federation. (D) The Chairman/President to have the power to expel any person who is under the influence of Liquor from the rooms and the power also to stop any persons bringing any liquor to the Federation Rooms. (E) The duty of the Central Coast Racing Pigeon Association Chairman/President is to control the meeting only, unless requested by the Secretary or Race Controller for assistance in an emergency. 8 (A) The general meetings of the C.C.R.P.A. shall be held once a month, starting at 7.30 pm,on the first Tuesday of the month from Febuary to November, unless otherwise decided by the Association. (B) A special meeting of the C.C.R.P.A. may be convened at any time by the General Secretary, or in his absence, the Assistant Secretary, or by requisition to the secretaries, duly signed by not less than four (4) delegates representing 4 (4) different Clubs. At such special meetings the matters of which notice has been given by requisition shall only be dealt with by that special meeting. (C) Four delegates each from a different Club shall form a quorum. (D) The Wyong Pigeon Club is officially recognised as the Headquarters for the Central Coast Racing Pigeon Association. Affiliated Clubs failing to pay affiliation fee at the annual general meeting or within 14 days thereof shall not be entitled to vote. The annual general meeting of the C.C.R.P.A. shall be held on the first Tuesday in November, for the receipt of the annual report, balance sheet, auditor’s report, the election of officers and the transaction of any such business as may affect the interest of the Association. (A) The General Secretary is to attend all meetings of the Association and receive all monies, which he in turn will hand to the Treasurer, and to attend to all business of the Association. (B) The Assistant Secretary to assist General Secretary. (C) The Race Secretary to make provision for all races, etc. (D) The Ring Secretary is to keep a record of all Association rings issued and to notify all Club Secretaries of affiliated Clubs, of members birds that have been reported found. (E) The Secretary Treasurer shall bank all monies in the name of the Association within seven (7) days of receipt of same. (F) In the event of the President and Vice President being absent the Chairman for that particular meeting to be elected by the delegates present. (G) That in the instance where we have a truck driver who is not familiar with the requirements of racing pigeons, the necessary arrangements be put into place for a liberator, that is a pigeon person who does understand the requirements of racing pigeons and the hygiene and health that should be associated with same, to accompany the truck to the races. (H) The liberation committee to consist of 3 members from the C.C.R.P.A. One member from the Northern Boundary, One from the Centre, and One from the Southern end of the Federation Boundary. One of the members to be the Federation Secretary of the day. (I) In the event there is 2 races on the last weekend of racing the longest race of the weekend will be liberated on a Friday weather permitting. 12. Any person or persons carrying on any fraudulent practices shall be expelled from the C.C.R.P.A. for a period named by the Association and may be prosecuted. (A) Any Club disqualifying a member shall report same to C.C.R.P.A. within seven (7) days. (B) Any member who has been disqualified has the right to appeal within seven (7) days. 13. The Association shall, as soon as possible, draw up a schedule of races. 14. All birds competing in Club or Association races shall be the bona fide property of the competitor and shall carry a rubber race ring, or electronic chip ring and must be rung with a perfect and intact recognised Homing, Club, Society, Association or Federal metal ring. Birds may also be wing stamped. 15. (A) All baskets to be in good order. (B) Winning birds in all Association races to be proved the property of competitor and same will be released by the President or Secretary (of Competitors own Club) up to 400 meters from loft within 48 hours of clocking in. Placed birds may be released if desired by the Committee. 16. Birds flying in a race under 226km must be home on day of liberation, over 226km and under 615km two days, over 615km and up to 807km three days, over 807km four days. Such distances to be to the Long Jetty Post Office. 17. All races to be decided on velocity system. The hours of darkness to be disregarded in calculation of velocities. 18. The duration of a day shall mean period of time from 60 minutes before sunrise to 60 minutes after sunset. Sunrise and Sunset to be regarded as occurring as stated by the Bureau of Meteorology. The period of time between 60 minutes after sunset to 60 minutes before sunrise shall be termed HOURS OF DARKNESS and are to be omitted in calculations of velocities in the event of a bird or birds homing in the house of darkness, when race is more than one days duration. Then position or positions of such bird or birds in the race to be calculated by velocity system on actual flying time, i.e. taking into account the hours of darkness up to timing in. 19. Birds homing on that day or during that days hours of darkness cannot be beaten by and bird homing on any subsequent day. 20. The committee may refuse the entry of any bird. 21. Only continuous running clocks approved of by the Association shall be used in any Association Race. 22. All timing clocks, both Club and private, shall be thoroughly overhauled by clock committee and certified fit for use. 23. Members are not allowed to have clocks in their possession after being overhauled unless sealed prior to race. (A) (1) A time for production of clocks be fixed prior to each race, 6.55pm for 7.00pm kick. Any late birds will be allowed two hours after timing in to get to clocking centre. (A) (2) Clocks to be kicked with secret device five minutes prior to hour nominated. (B) (1) At setting, clocks must be running when struck against the radio time signal and are to be started against a master timer any time within a half hour prior to the scheduled time. All buckets either side of race rubbers must contain a ball or secret device so that no buckets are empty between the initial setting and final checking. The sequence of prints should be (1) set, (2) check, (3) ball, (4) bird or birds, (5) ball, (6) check. (B) (2) In the event of a clock being accidentally double kicked, and in the opinion of the Disputes Committee “No fraudulent practice has taken place”, the corresponding print to the empty bucket will be disregarded and the clock tape read. (B) (3) Any print associated with an empty bucket shall be disregarded, provided that there is evidence of a rubber race ring in the clock. The clock remains in competition allowing a second competing race rubber to be read. (B) (4) Should a flyer have an empty bucket because of double kicking, or not being able to insert thimble in that bucket, he must notify committee before ringing off. (B) (5) After the ring off, the clock is to be opened, the head handed to the Tape Reader who will record information from the Head, run up, Kick on, Rubber, empty bucket, etc, in door, Kick off. Once this information is recorded, contents of the Head should then be removed. Note…..head is not to be turned upside down until information has been recorded. (C) All clocks to be returned intact, whether used or not. (D) Boxes or thimbles of their respective clocks shall be used. Thimbles to be inserted with opening face downwards and must contain rubber ring of bird timed in. Rubber ring to correspond with duplicate tag in every way and any infringement of this rule will entail disqualification. (E) Rubber ring to be wholly and solely in buckets of thimbless clocks. (F) All clocks must be started and checked by master timer. Master timers to be set to by ringing 1194. (G) Association to allot basketing and clocking stations to best advantages of Clubs. (H) Association shall not be responsible for Club or individual property during progress of Association races. (I) All clocks to be reset every 72 hours in the event of a holdover. Except quartz clocks which do not have to be reset. 24. (A) In the event of a clock gaining at the rate of more than five minutes in 24 hours, the time registered will be taken as time of arrival. (B) In the event of a clock losing at a rate of more than five minutes in 24 hours, the double of the variation shall be added to the registered time. When the variation is inside five minutes it will be added or deducted the usual way. (C) In the event of a clock gaining or losing at a rate of more than 10 minutes in 24 hours, such clocks to be definitely out of competition. 25. In the event of a clock stopping after competitor timing in he may take his clock to a recognised official, approved by the Central Coast Racing Pigeon Association, and have time registered in second clock, provided such clock is competing in the Association race. If clock has to be reset two (2) members signatures must be on tape. 26. (A) Should a member’s clock stop prior to timing in, such clock may be taken to clocking centre to be reset or another clock may be obtained, or the member may time in to another member’s clock. (B) Should a member overturn a bucket so that a thimble cannot be inserted he will place a piece of paper in that bucket, turn it away and time in to the following bucket. He must then notify the committee before kicking off. 27. In the event of a member timing in a wrong pigeon in the first thimble he will be allowed to time in the second thimble and in such case must notify Secretary of same prior to clocks being checked. He will be allowed one mistake. 28. Two or more competitors may time in to one clock. 29. A competitor shall have the right to view another competitor’s clock at any time during the progress of a race. Any competitor taking his clock to another place to time in, whereby he may gain an unfair advantage, shall be disqualified. 30. Should a rubber ring number not correspond with the number as stated on the race sheet or with the tab retained by the Club for that entrant, the pigeon credited with that number shall be disqualified from that particular race. 31. (A) Only 3/16 of an inch on Benzing. Iscus 4 points, STB 4 points, Junior Jundes 4 points will be allowed on clock dolometers. Any other clocks must be shown at Association meetings before an allowance be given. Any clocks showing more than the amounts allotted will be disqualified. 32. All competitors shall be allowed but one prize in any race in which all places are filled, except the Breeders and Futurity races and any other race that may be decided. 33. (A) The use of race sheets shall be compulsory in all races controlled by the Central Coast Racing Pigeon Association. (B) That on Federation race sheets the letters CC will be sufficient to indicate Central Coast. 34. In the event of only one bird homing before the close of a race time such bird to take all the prize money. If fewer birds home than prizes allocated, the remaining prize to be divided on a pro rata basis between bird’s homes. In the event of no birds homing before the close of a race, prize money to be returned pro rata after expenses. 35. The transport costs are to be shared equally by all people using this facility. The equation used to arrive at a cost per head will be the season transport budget, divided by the number of baskets ordered by clubs. Flyers can fly teams of five birds, ten birds, fifteen birds and twenty bird teams. Baskets are to hold up to 23 birds. 36. Each affiliated club shall supply a complete list of member’s names and address’ to the Secretary of the Association prior to the first race. 37. Any question not specified in the rules shall be decided by C.C.R.P.A. COMMITTEE whose decision shall be final. 38. Protests shall be dealt with by the Committee. All protests must be made in writing to the Secretary and be in hands within seven days of the alleged grievance taking place. A fee of $5.00 to accompany protests and be returned if protest is upheld. 39. There shall be a quorum of four flying members from different clubs of the C.C.R.P.A. present at any basketing of pigeons, ringing of clocks and checking of tapes in an Association race. 40. Secretary to provide each club and new member with a copy of the constitution and rules for a fee set by the committee. 41. These rules cannot be altered, amended or rescinded, only at the Annual General Meeting, unless a months notice be given in writing and then must obtain a majority of seventy five percent of the delegates present. 42. Any member wishing to fly more than one team of birds will be required to nominate a separate team of birds with a club and only those birds nominated will be accepted in any CLUB or COMBINE RACE. Each team to be nominated shall be given to both club and Association Secretaries. 43. A. The VOTING for the RACE DIRECTION (NORTH OR SOUTH) shall be taken before the Young Bird Derby. Only flyers that pay the Federation membership of $30 are eligable to vote. This fee comes off the following years race fee. 44. Any competitor will have the right to inspect any clock roll or sheet before prize money is paid. CLOCKS only opened if both race teams home. If only one team home then clocks to be rung at 8.00pm and not opened. On the next day, clocks rung at 7.00pm. (This rule is exempt for electronic clocking systems, E.G. CABOOLTURE AND TIN CAN BAY. 46. ALL FLYERS ARE NOT TO ASK THE TRUCK DRIVER QUESTIONS REGARDING TRANSPORT AND LIBERATION OF BIRDS. These queries can be directed to FEDERATION SECRETARY or to club Secretaries to go to Fedration Meetings. COMPLEMENTS can be accepted by the driver. 47. The Annual General Meeting of the C.C.R.P.A. will be held on the first Tuesday of November. Such meetings to commence at 7.30pm. 48. NOTICE OF MOTIONS: Shall be lodged on or before the last race of the season. These motions shall come from clubs and not from individual members. 49. Voting members shall be those who have paid a fee of thirty dollars ($30.00) and were flyers of the previous season, plus new members who also have paid the fee. Flyers for the forth-coming season shall pay a transport deposit of $70.00 at the April meeting, at which the transport budget shall be calculated. Balance of which fees are due prior to the first race. If a member fails to pay this balance then the flyers club shall pay same. 50. A committee made up of an elected person (transport manager) and each clubs senior delegate, shall form the transport committee. This committee shall make decisions to govern the general use of the truck transporter. The transport manager shall run the day-to-day duties for the transporter and prepare the annual budget of bird cartage costs. 51. A POINT SCORE shall be conducted each season with the highest placed flyer to receive 1 point down to the lowest placed to receive the number of flyers in each race. If a flyer fails to time in then they shall receive the number of flyers in the race. The point score to be conducted over short, and long distance, plus an overall. Flyers who do not fly shall receive total number of flyers. 52. A. PRIZE MONEY AND SPECIAL RACES AND COMBINES: Prize money for these races to be paid at one prize in every seven flyers. Combines are at $10.00 each and payable at basketing night. A flyer can only take one prize in these races with the exception of the Breeders Plate and Futurity. Multiple prizes can be obtained in these races. Entries for Futurity and Fed $10.00 Ring Race close on basketing night of first race. B. The Futurity race shall have a entry limit of 30 birds. With only 20 birds to go to the race. Fee is $2.00 per bird. C. The $10 ring race shall have a limit of 10 birds with a fee of $10 per two birds. If 10 entered, only five to go to race. D. All flyers sending birds to the Young Bird Derby weekend and the National weekend are all eligable for the Loft Auction. 53. SURPLUS BASKETS: If available, will be at $10.00 each for flying members or $20 per basket for Federation members that are non flying, Birds will be released from the 1st race point to the distance under Coffs Harbour or (equivalent distance) 5 baskets or less to go up with race birds. From then onwards distance from Coffs Harbour (or approximate distance) all surplus on truck to be released with race birds. If trailer is used , then all surplus to be released 30 minutes after race birds. If bad weather or other circumstances occur then these may be released with race birds. Fee to be collected by Club Secretary and passed on to Federation Secretary at the NEXT Federation meeting. www.ccpigeons.com for race results and other general information. 55. (A) C.C.R.P.A. shall invite JUNIOR FLYERS to participate in all schedule races. JUNIORS will be able to race free of any fees. (B) Juniors must be of school age or if older with approval of C.C.R.P.A. (C) Juniors may send 5 young birds as part of the senior flyers team. (D) All juniors are to receive a Merit card for a bird timed in on the day of the last prize taken in their club. 57. (A) ELECTRONIC BAND SCANNING SYSTEMS (EBSS) BRICON, BENZING, ETC. to be approved by the C.C.R.P.A. (B) In the event that the C.C.R.P.A. Committee determines that an EBSS system or a system design does not provide adequate security or presents a potential security question, the C.C.R.P.A. may disapprove of the use of that system. (C) The C.C.R.P.A. reserves the right to withdraw the approval of any EBSS system if lack of security occurs. (D) If any race Secretary or race Official determines that a lack of security exists with a flyer, he must notify the C.C.R.P.A. Secretary. The race Secretary must provide a written statement of the reason for concern. (E) The use of an EBSS system by a flyer, must be accepted by each club and the C.C.R.P.A. Secretary must also be notified stating the type of system to be used. The use of EBSS systems is optional and all costs are to be paid by the flyer. (F) Each member is free to purchase any EBSS system they choose, but it is recommended that each club use the same system to enable the hardware/software to be compatible. (G) The serial number of each EBSS and the serial number of each antenna must be recorded by the club Secretary and the C.C.R.P.A. Secretary before being used. (H) Installation of an EBSS system in a flyers loft must be inspected and approved by the club Secretary with the C.C.R.P.A. Secretary prior to racing and at least one club seals fixed to each antenna. (I) All antennas must be installed wholly within the confines of the flyers loft. This means within the face or wire front of the loft and cannot be placed under a landing board unless that part of the landing board is within the face of the loft. (J) Point of fixture of each antenna must be documented and remain in that point (unless approval by Club and C.C.R.P.A. Secretary is granted) for the entire race season. (K1) Use an electronic band scanning system that has a re-programmable electronic band. (K2) Use electronic bands that have read/write chips. Currently the use of 64/128 bit chips. (L) After all EBSS bands have been securely placed on each bird, the race Secretary or a race official shall scan or read a flyer’s bird band number prior to a race in which the bird may be entered in one or more races and print out a list of all bird band numbers. The list shall be signed and retained by the Secretary. This list shall become the flyer’s race sheet. (M) Basketing of birds shall be done in the normal way but with a race official checking that each bird is corresponding to the EBSS system display and printout. A printout of the race list shall be signed and retained by the Secretary and another given to the flyer. These printouts will serve as a race list. (N) In the case where the electronic clock shows a tie then the first bird on the list will be deemed the highest placed. (O) If the data contained in an EBSS becomes defective, erases, or corrupted between race entry and return of birds to the loft, then the flyer will be disqualified from the race. The Club Secretary will verify the system failure. (P) If electronic timer becomes faulty, flyer is permitted to put chip ring into a manual clock. These conditions and rules have been compiled by F. Anderson (Sec) for the C.C.R.P.A. with the CENTRAL CUMBERLAND RACING PIGEON FED. INC. rules as a guideline. If birds are not released by Sunday morning in all races except Y.B.DERBY, National and Long race weekend, they will be returned to clubs.